IT Security jobs will be the most needed jobs in the future of IT. 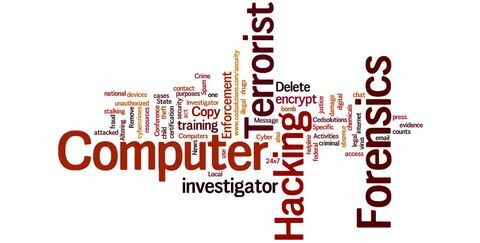 It doesn’t matter if your organization produces great products, services, hardware, military equipment, etc, if Hackers from other countries or competitors can get the information that you have developed on how to make these products and make similar products themselves. They do not need to invest in R&D, test out different materials, and spend $MMs or $BBs to create your product. They can steal all of your information in a matter of hours and sell or give it to others. This is especially true of Nation States Hacking into your networks. Massive thefts of data have occurred recently of our Government data. 25 million people who have the highest Security clearances have had all of their data, background investigations, sensitive personal information, and everything including fingerprints taken. This would allow other Nations to use this information to get into more systems and even physically enter facilities using this data and not be detected. China recently became the #1 GDP country in the world by using the information stolen from companies around the world and given to their companies to make the same products with a competitive edge. What do you need to have to get one of the million IT Security jobs that are available around the world? Every country is seeking people with strong IT Security skills and the jobs remain unfilled as the skill sets are missing for most job seekers. Are you ready to start down the road to become an IT Security expert? You will need to understand hardware very well and understand all of the components of the hardware and how those components interact with each other and how they interact with different Operating Systems such as Windows, Linux, etc. What ports are opened, closed,etc, and how are they involved with applications and operating systems. This applies to all hardware on Networks so concentrating on specific hardware is the way to start. For PCs, laptops, mobile devices using Windows (and all of the different versions), how does the operating system work with these units. How do Linux, Unix, iOS and other operating systems cause the actions of these devices. A great way to understand these initial component interactions is to take the CompTIA A+ course. This course is one week long, has two Certification exams and covers most aspects of the component interaction. On Local Networks how does the traffic move from desktops, servers (various kinds), printers, copiers, etc. How does email move from one computer to others? What is DNS and subnetting? How do they work? What are Packets, how are they constructed, how many different kinds are there? How does a packet of information know where to go, how does the recipient know that the packet is destined for them? A great way to understand what makes up Networks is to take the CompTIA Network+ course. This course is one week long and has a Certification exam. The concept of Security is very broad and very deep. To begin understanding this area, and exploration of different operating systems and the possible situations of using equipment is thoroughly explored in the CompTIA Security+ course. This course is one week long and has a Certification exam. The IT departments of the US military recognize the value of this knowledge and the Certifications and have them as a minimum requirement to begin working in IT as a Service Member or contractor in the DoD Directive 8570 put out many years ago. CED Solutions provides all three of these courses back-to-back to accomplish them in a short amount of time, A+/Network+/Security+. If you are ready to start your career in IT Security, this is a great way to start. Your next step in your IT Security career may be to concentrate on the most installed Networks in use, the Windows groupings of Desktop Operating Systems and Server Operating Systems. There are many kinds of each and an in-depth discussion of these courses will come tomorrow. Do you want to be an IT Security Specialist or a Manager of IT Security?